PM2 is an advanced, production process manager for Node.js that auto-restarts Node apps after crashes or file changes. PM2 can also configure your server with a few simple commands to automatically statup your node apps when the server reboots. In some respect it's similar to forever and nodemon but it has many more powerful features that make it a better choice for running Node.js in production. This tutorial assumes you already have Node.js installed on a server. If you don't then go back and run through my previous tutorial. Build and Install Node.js from source on Amazon EC2 Linux. 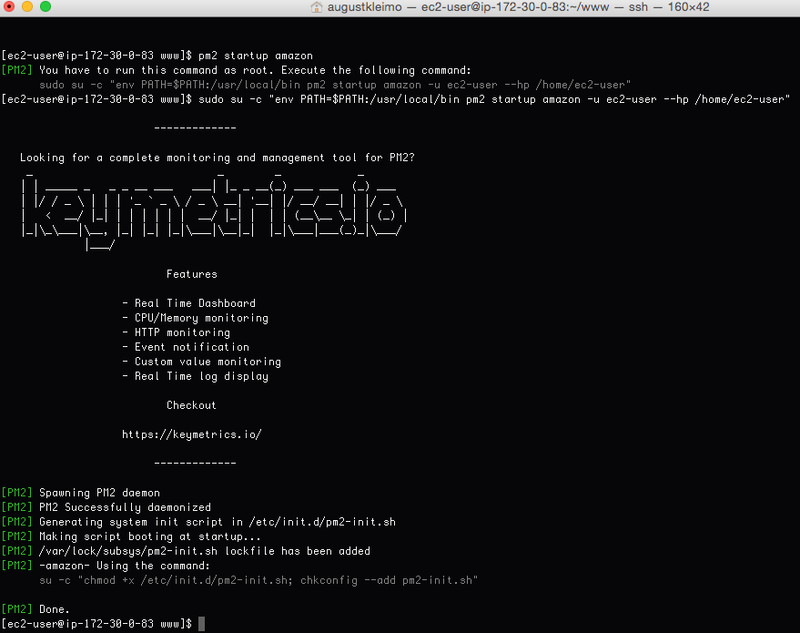 Let's install PM2 on an Amazon EC2 Linux instance and explore some of it's features. If you're running a different flavor of Linux or on a Mac these commands should be the same. On an AWS EC2 Linux instance we need to add npm to sudo's path so it can find the command. By default npm gets installed in /usr/local/bin which isn't in sudo's path. To fix we will edit the secure_path in the /etc/sudoers file using the nano text editor. and append the path :/usr/local/bin See screen shot below for reference. Type ctrl+o to save (WriteOut) the file to disk. Then crtl+x to exit the nano editor. Now that we've told sudo where to find the npm command we can install PM2 and since it's a command line tool we need to install it globally using the -g option. Verify that PM2 is installed. Now let's create a simple "Hello World" Node.js application and use it to experiment with PM2. $ cd /home/ec2-user or $ cd ~ if not using AWS Linux. Startup a node process using PM2. The flags are optional but the --watch flag automatically restarts your app when a file changes in the current directory or its subdirectories. The --watch flag has more powerful features. For more info read the official docs here. PM2 can generate a server startup script and remember your processes in order to bring them all back online the server reboots. Let's generate a startup script for the server. I'm running on an Amazon EC2 Linux instance so I chose amazon as the platform. The platform can be any one of the following. Choose darwin if you're running through this tutorial on a Mac. ubuntu, centos, redhat, gentoo, systemd, darwin, amazon. 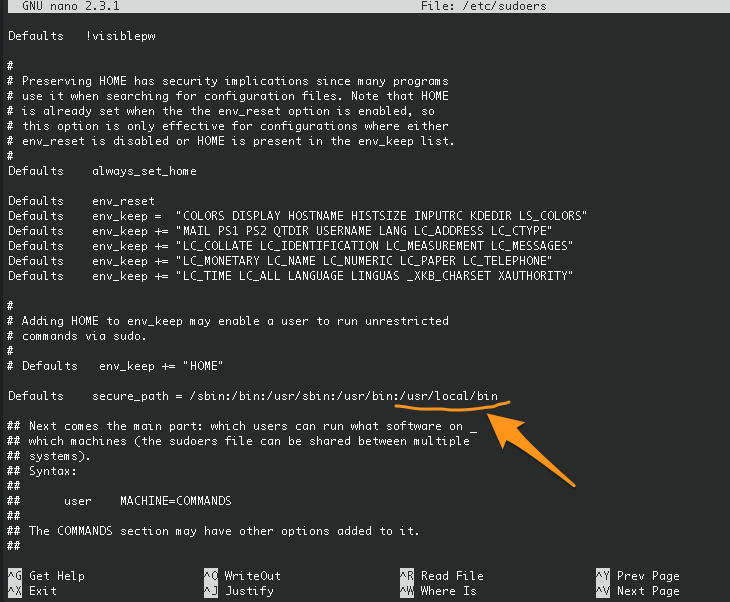 However, when I run the command above PM2 complains "You have to run this command as root." and then echos back the appropriate command. How nice of PM2! Let's run it. $ sudo su -c "env PATH=$PATH:/usr/local/bin pm2 startup amazon -u ec2-user --hp /home/ec2-user"
You'll see some output like this. Let's instruct PM2 to save all running processes so that it can remember and resurrect them after a server reboot. Now that PM2 has installed your startup script and saved your list of processes, reboot your server to make sure that PM2 automatically restarts your Node.js app(s). When the server comes back online PM2 will have automatically started itself up and then looked at your saved processes (from the pm2 save command) and start them all up. Experiment with the basic PM2 commands and then read through the PM2 official docs. It has some really awesome and powerful features that we will explore in future tutorials. $ pm2 logs helloworld then ctrl+c to exit log view.